With technology having become ubiquitous in our home and social lives it is crucial that the social trends we see in these spaces help drive how technology is developed and deployed in the business world. 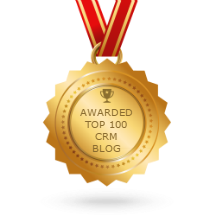 At SugarCRM, we have long known that if technology in the workplace looks, feels and intuits like the technology we use at home, it will be more engaging and easier to use, meaning the most benefit can be gained. At home, people can access user-friendly online tools to belong, share and respond. It should be no different in the workplace. Social trends are by their very nature fluid and fast-paced though, so, as an organization that helps businesses build better relationships with their customers, it’s important that we learn from these trends but don’t chase them, instead using today as a platform for tomorrow. Our job, and what we have achieved with our latest update, is to identify and respond to the longer-term themes of current social trends and, in doing so, improve both the user’s experience of our products and the bottom line result for our customers. 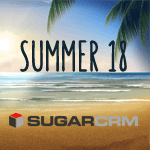 Our latest innovation, SugarⓇ Summer 18, uses these learnings to enable our customers to drive their business forward in the key areas of collaboration, user experience and data privacy. These future-focused improvements will enable businesses to improve interactions, process management and communication techniques, so they can stay ahead of the curve and their competition. So where have we improved? Once upon a time, CRM software was simply a place to store and access customer data, yet today it can be so much more. Now we are providing businesses with the tools they need to source genuinely useful insight that is easy to access and understand and share this with colleagues across their business and with partner organizations too. With our latest offering, users can access well over 100 reports spanning leads, opportunities, revenues, accounts, tasks, calls, meetings and data privacy. These reports enable people to easily build at-a-glance insight that can be shared with a wide range of people, so they can develop solutions to business problems together. From the functional to the human, we’re excited about the way SugarⓇ Summer 18 will improve the user experience of our customers. Enterprise software should provide the same level of ease and simplicity as consumer apps do and that’s certainly the case here. We have introduced automatic archiving of email, a whole range of improvements to Advanced Workflow – from more flexibility in process development and the ability to build human interactions into automated processes – and lighter touches, like emoji characters now sitting within the product, so that employees and customers can now enjoy more human interactions. Data privacy is very much the topic of the moment and with our SugarⓇ Spring 18 offering we delivered a set of new features that, as well as enabling organizations to meet Data Privacy regulations, also gives them the means to put more control in the hands of their customers, so that they can exercise their data privacy rights too. We have continued to build on those features by introducing double opt-in and an easy way to erase personal information across activity streams, when this is required.